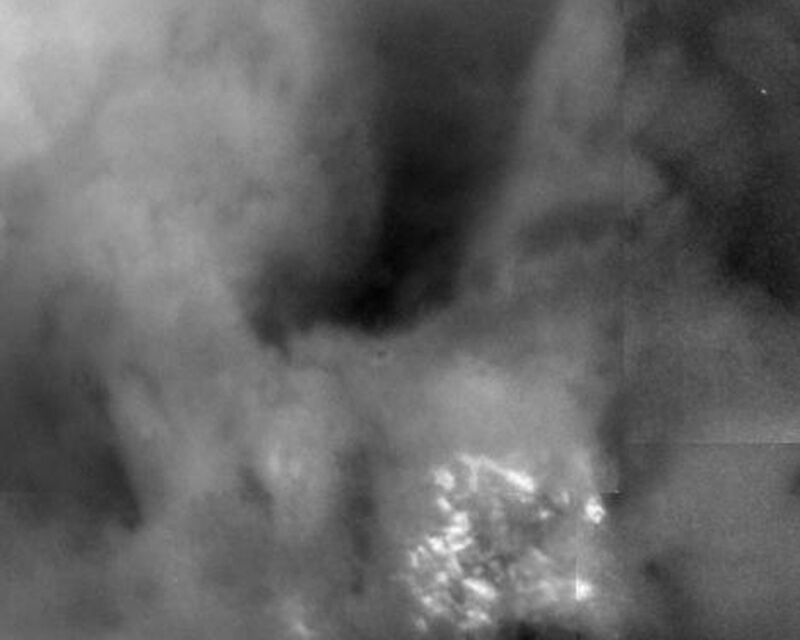 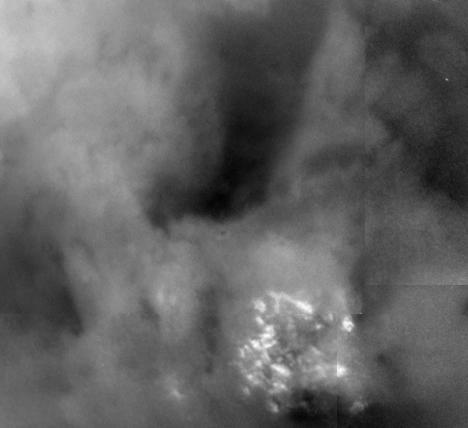 Shown here is a blowup of a region of Titan imaged on July 2, 2004. 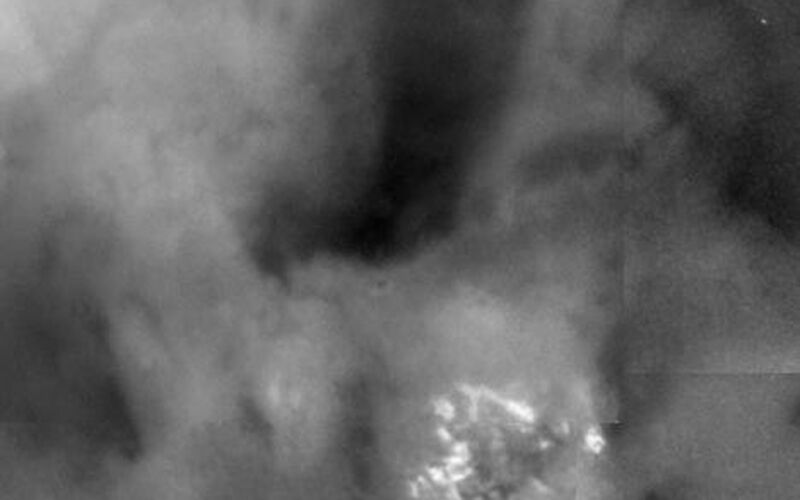 This image was taken at a distance of 339,000 kilometers (210,600 miles) and shows brightness variations on the surface of Titan and a bright field of clouds near the south pole. The field of clouds is 450 kilometers (280 miles) across and is the about the size of Arizona. Features as small as 10 kilometers (6 miles) can be discerned.